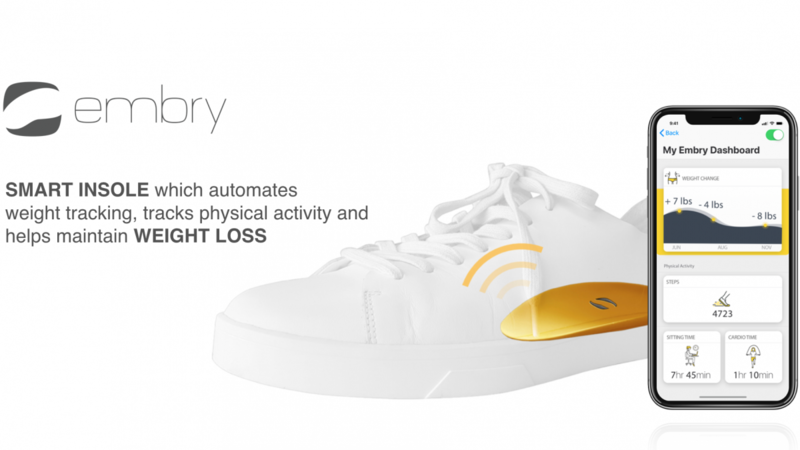 Embry is a smart insole which automates weight tracking, tracks physical activity and helps maintain weight loss. According to the startup co-founder Nare Gevorgyan, Embry is unique because it is the first smart insole in the world that automates weight tracking. 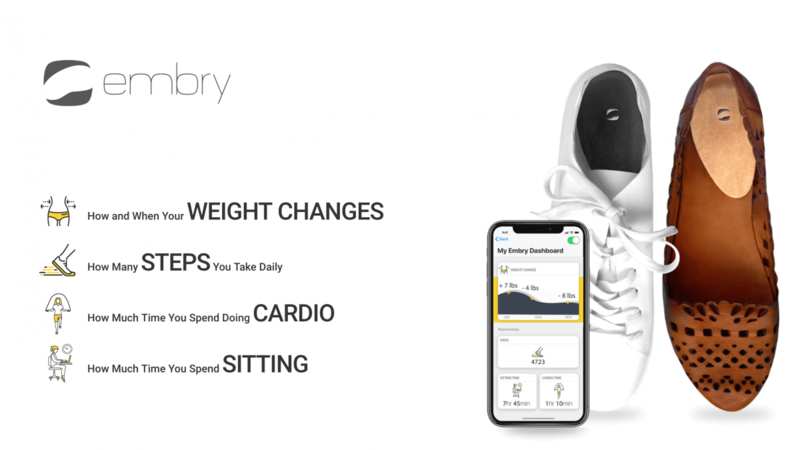 “Unlike the existing activity trackers and smart insoles in the market, with Embry’s patent-pending technology, the startup allows its users to make all of their existing shoes smart at once and not just reach their desired weight, but keep it too,” she describes. Embry’s team consists of 9 people: 3 co-founders, 2 hardware engineers, and 4 software developers. According to Nare Gevorgyan, the idea was born at a party, where she noticed that while women were weighing themselves, there was a woman who got very upset that she had gained 12 pounds and had no idea about it. This is where Nare thought why doesn’t something exist that can help with weight management and keep you in the favorable weight range. “As these thoughts were cooking, accidentally we ran into Liana, our third co-founder, a 15+ years experienced nutritionist, that fell in love with the idea and joined the team. She knew that daily weighing is essential in weight loss and that people have a problem with maintaining weight loss based on working in US and Armenia with overweight patients,” Nare tells. As a result, the team started making user interviews, trying to find out reasons for weight gain, people’s attitude towards daily weighing by interviewing them in the healthy cafes and trainers and nutritionists at gyms and health centers. “Our interviews and research proved that there is a problem with weight loss maintenance and that people benefit from daily weighing, yet forget or subconsciously avoid daily weighing,” Embry’s co-founder notes. 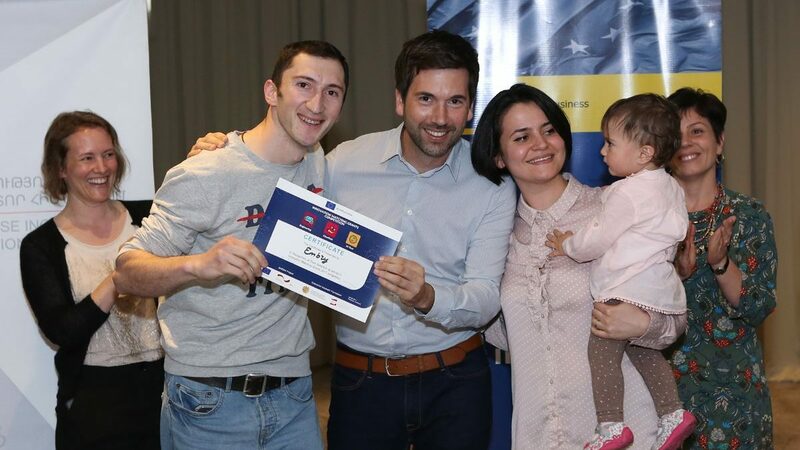 The startup received Innovation Matching Grant (IMG) in 2017 and as Nare Gevorgyan states, the grant helped the team tremendously. The whole idea of running a successful startup in Armenia at first seemed very unrealistic for the startup. “Entrance into a global market was only a dream. 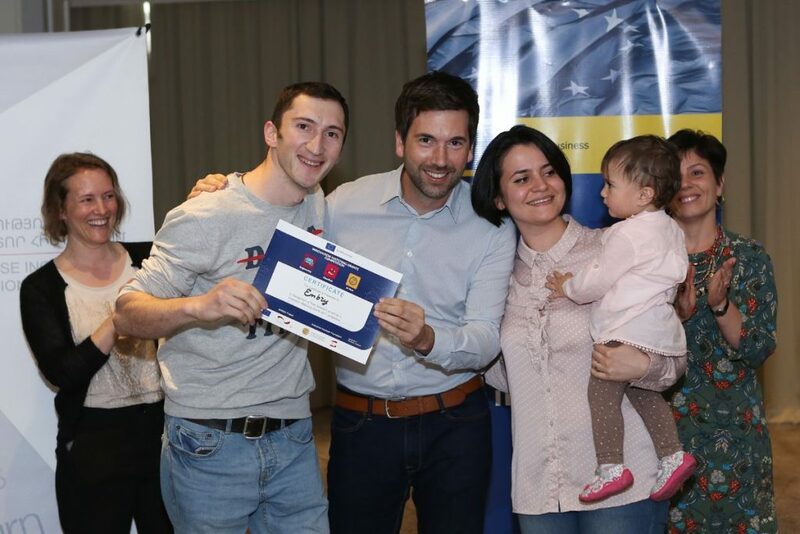 However, as we began to research and work on developing the idea and the product, we came to realize that Armenia is full of various competitions in IT sector, grant opportunities, pitch sessions, conferences, angel investor networks and even local VCs. The above mentioned statements helped our team to raise money, register our company, build expertise, grow, expand, network and have a global lens to be competitive,” Nare Gevorgyan adds. For the startup EU is one of the main potential markets. “Anywhere where overweight epidemic and obesity are prevalent, there is a need in Embry. Also, EU market is saturated with numerous shoe companies which are our potential customers for embedding our technology in future. In addition, Embry was the winner of HyeTech Europe 2018 in July in Paris. We expanded our network there and are now looking for collaborations,” she concludes. The startup’s team is working hard day and night and soon Embry’s weight tracking insole will be ready for production. They already started getting pre-orders for Embry. The goal is to reach 500 pre-orders in the first quarter of 2019 and ship the early birds in the second quarter. 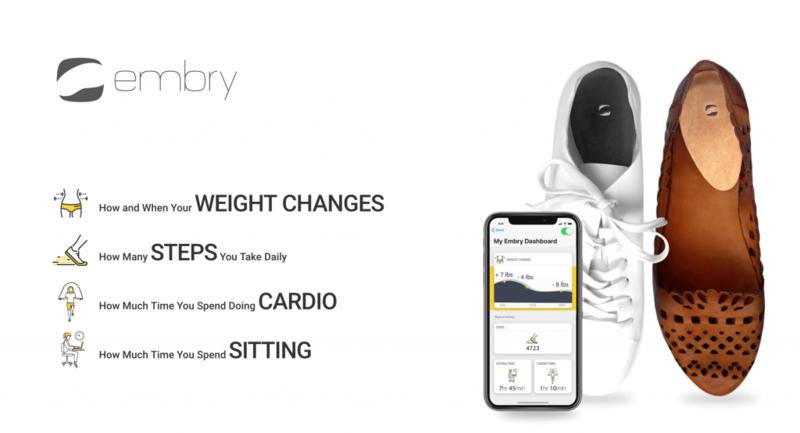 After getting feedback and fixing the issues, Embry’s next goal will be launching a crowdfunding campaign and open the access to Embry weight tracking insoles globally.